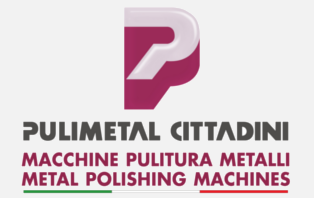 Here at PULIMETAL CITTADINI we do design and manufacture automatic metal polishing and grinding systems. Automatic Systems for cutlery and knives, trays, pots and coffee sets, plates, handles, hinges, sinks, cooking ranges, chair bases, glasses, taps and similar devices, round and square pipes, aluminium and other alloy section bars, polishing and grinding general automatic systems with special features upon request. Full Robotized Cell for grinding, polishing and finishing plates, handles, taps and valves, boat propellers, slicer bases, polishing and grinding general equipment with special features upon request. On these pages you fill find our Philosophy about Technologies, Applications and Service but, of course, we would love to get in touch with you. PULIMETAL CITTADINI is the result of a thirty-year metal-polishing problem solving experience. The activity began toddling by applying the highest technologies to the automized multiple station transfer machines. Thanks to its past experiences, today the company has achieved the ideal union between the most advanced technology and automation and between easy-to-use and simple-to-use concepts. PULIMETAL CITTADINI is a family-managed company, its headquarters is in Provaglio d’ Iseo covering a 4000 m², 2000 of which used as offices, laboratories, manufacturing departments and warehouses. in-house and with great experience in the field of polishing systems manufacture, PULIMETAL CITTADINI can satisfy the customer assistancy and consultancy requirements very quickly. The firm employs 60 people appr., 25 as staff and 35 working in external workshops. All Pulimetal systems have been complying to the EC safety standards since 1996.